A drug dealer who set up a credit system for children as young as 13 to buy cannabis and cocaine has been jailed. Wesley Williams "befriended" children to introduce them to drugs. He then offered credit when he realised they were too young to afford the drugs, a court heard. 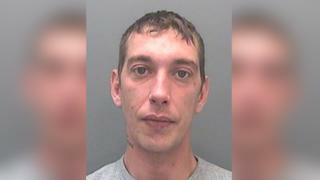 Williams, 29, of New Road, Porthcawl, was sentenced to five years and six months at Cardiff Crown Court after admitting supplying drugs. He was caught after the grandmother of one 13-year-old "customer" of Williams alerted police. The court heard Williams had been addicted to weed since he was a child and to cocaine since he was 16. He claimed he assumed the boy was older than 13 as he was friends with two older boys. Clare Fear, defending, said: "He is as determined as he can be that this is the last time he troubles the court." Sentencing, Judge Tracey Lloyd Clarke said: "This boy was buying drugs from you and he owed you money. "You threatened him with violence whenever he owed you money."